HISTORY IN MOTION! : Free Electronic Field Trips by Colonial Williamsburg for Hawaii Teachers! One of our mainland partner organizations is Colonial Williamsburg in Virginia. Earlier this morning I was contacted by the manager of Education Sales K-12, Dale Van Eck. He wrote, "I could really use some help! I have 16 $500 scholarships for Electronic Field Trips to award to Hawaiian public elementary and middle schools. Could you use your network to get the word out?" Go to this link and learn more about these free field trips. Do you know any Hawaii public elementary and middle school teachers? If so then please forward this offer to their email boxes. Sample the series here to review the great resources available. Wait to receive your registration information to create your user name/password—it’s that easy! Again, this grant is for 30 Hawaii public schools only. If you have any questions, please contact us at: EFTsupport@cwf.org with the subject line HAWAII GRANT or call 1-800-761-8331. 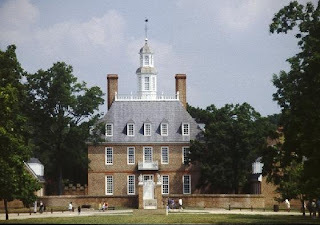 Two teachers who are participating in the 2012-2013 Electronic Field Trips will be awarded a fully funded scholarship to attend the 2013 Colonial Williamsburg Teacher Institute! One full week of outstanding professional development held onsite in Williamsburg, Virginia! All participating teachers will be asked to submit an application for the Teacher Institute and 2 recipients will be chosen for the scholarship, a $2000 value and will include airfare.